Combine oil, lime juice, and next 9 ingredients in a food processor or blender and pulse until well blended. Reserve ¼ cup of the mixture in a small bowl. Cover and refrigerate. Transfer remaining mixture into a large resealable bag. Add chicken, seal bag, and chill for 3-8 hours. Grease and preheat grill. Remove chicken from bag, discard the bag and remaining marinade. Grill chicken 5-6 minutes on each side. 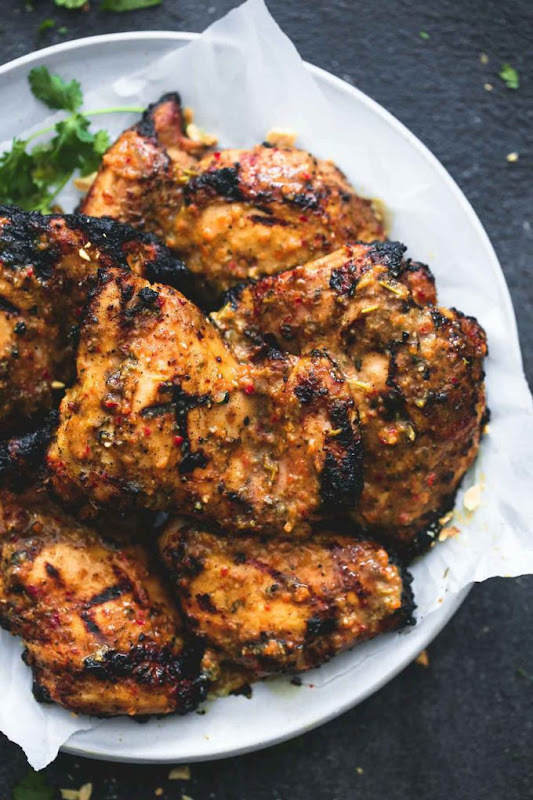 Brush reserved sauce over the chicken and grill 2-3 minutes longer on each side until cooked through (large chicken breasts may need some additional grilling time) Garnish with chopped cilantro if desired and serve immediately.